Because Doctoral education in Europe is not standardized, international PhD cooperation is frequently cumbersome. 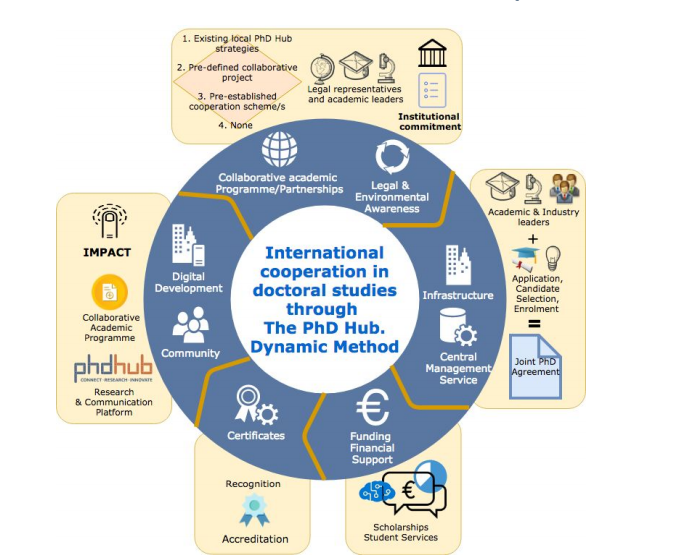 The cooperation method developed by the PhD Hub will open a gateway to your structured PhD internationalization plan! International doctoral training contributes to increased opportunities for PhD students to acquire transversal competences. Likewise, it offers the possibility to find interesting and complementary partners for research activities. The guidelines on international cooperation lay the ground towards seamless off-border PhD collaboration. You can download our guidelines in our resource section.